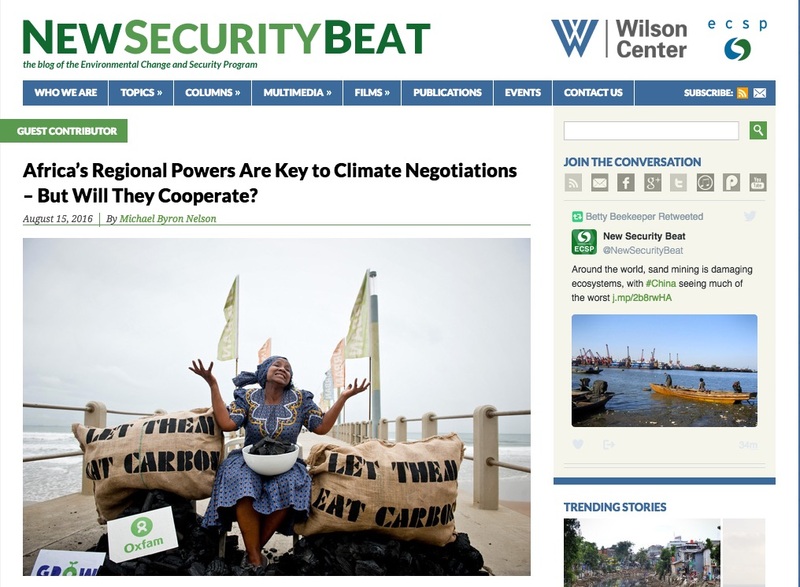 Source: Africa’s Regional Powers Are Key to Climate Negotiations – But Will They Cooperate? My website for International Law is now updated and live! The syllabus is available online (all information is on the website) and as a PDF. Keep in mind there are many other courses that naturally overlap with an interest in Africa, including language courses in Arabic, French and Portuguese, Comparative Politics in the Middle East (includes North Africa), and courses on the African Diaspora (look at African American Studies and American Studies lists). Please contact me if you have any questions about the applicability of such courses towards our African Studies Minor. South Africa had a nice start to the Olympics as their football squad forced host Brazil to a draw in their first game. Meanwhile, Nigeria barely made it to its first football match, arriving in Rio just hours before playing Japan. It didn’t matter. Nigeria won 5-4. While most African countries have relatively small delegations, we can expect some interesting performances during the games. Let me know in the comments if you find other sources and I will add them! Two pillars underpin Africa’s approach to climate change negotiations: One is the “African Common Position,” and the other is the development of a negotiating coalition for presenting that position. This report explores the roles that Africa’s regional powers—Egypt, Ethiopia, Nigeria, and South Africa—play in supporting this African approach. These regional powers do not share the same interests as the rest of the continent. Not only do they differ based on energy production (Nigeria) and consumption (South Africa), but also in terms of their general vulnerabilities and readiness to face climate change. Even where they share interests, they often view these negotiation processes as serving goals other than solving the problems of climate change. Despite such issues, Africa still needs its regional powers to play a role in ongoing global negotiations, and the world will likely continue to focus on at least some of them as continental representatives.